As I alluded on the bit-tech Blog at the start of last week, the PC enthusiast industry has been a pretty dark place to be for most of this year. But with the release of Windows 7 in less than a month's time, it's fair to say that I'm starting to see the light at the end of the tunnel. That light started emerging with the release of Intel's Lynnfield processors, which we've been covering in-depth for the past few weeks. Although Lynnfield wasn't everything we'd hoped for, mainly because of its steep entry point, it did give us an exciting new product to really dig our teeth into. Earlier this week, the second major product of the year launched and this time it was the turn of AMD. The focus has moved away from CPUs and onto GPUs, as the ATI Radeon HD 5870 is the first product based on AMD's next-generation graphics architecture. It's also the world's first DirectX 11 graphics card, which is a landmark in itself. 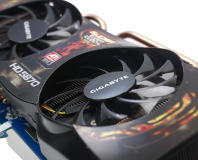 The Radeon HD 5870 is a hugely important product for game developers in particular, as they are already starting to move their focus onto developing games that implement many of DirectX 11's new features. All of that work is currently happening on Radeon HD 5800-series cards, as Nvidia hasn't seeded developers with its first DirectX 11 GPUs and isn't expected to for at least a month. That's fairly significant in the grand scheme of things, but let's not get ahead of ourselves as there's a lot to cover. It's fair to say that AMD's first foray into DirectX 10 was a pretty big failure - the Radeon HD 2900 XT was removed from shelves after just five months when the company quickly introduced the Radeon HD 3870 as part of a damage limitation exercise. R600 was a big, hot monster that didn't perform well at all - it barely kept up with Nvidia's GeForce 8800 GTS, never mind the GeForce 8800 GTX and 8800 Ultra, which simply ran rings around it in every which way. 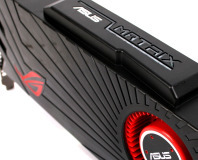 In terms of performance, the Radeon HD 3870 didn't really push things forwards either. It still had the same 64 five-way shader processors (or 320 stream processors) as R600, while the anti-aliasing performance woes hadn't been fixed - the ROPs (or render back-ends) still lacked a dedicated hardware-based MSAA resolve unit, which had a huge impact on AA performance - and clock speeds hadn't been improved significantly. However, what AMD did do was significantly reduce the die size and power consumption, which helped to make the GPU a more efficient product that could compete well in the mid-range. Of course, it wasn't a match for the GeForce 8800 GT, which delivered stunning value for money at a hugely attractive price point. The Radeon HD 3850 was a successful product for AMD though and Nvidia tried to compete with it from several different angles. Most of those proved unsuccessful, because the 3850's RV670 die packed a lot of performance at a low price point. Despite not being the first choice for the majority though, RV670 was a hugely significant product in AMD's history. It changed the way the company thought about building GPUs and the first fruit of that big shift was, of course, RV770 (aka HD 4850 and HD 4870) - we all remember how that shook the market up. 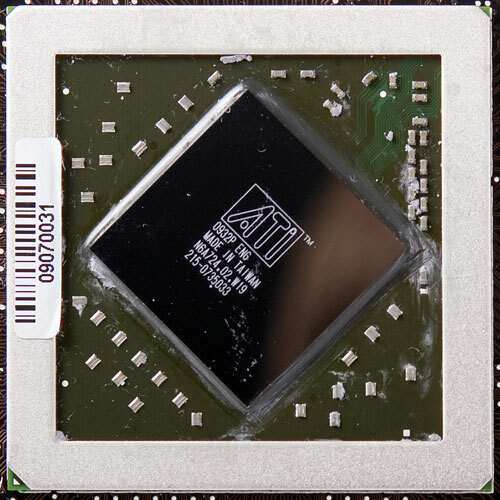 Cypress, the chip behind the Radeon HD 5870, is an extension of the RV670 philosophy. On Wednesday last week, Mark looked at how the Radeon HD 5870 performed in some of today's top games and we came away impressed (well, Clive wasn’t bowled over, but the rest of us were). 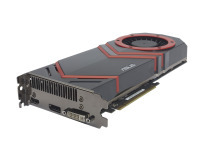 Since day one, prices have slipped a tenner or so to reflect the price we were quoted pre-launch too – AMD told us to expect the card at '£269.99 + VAT’ (roughly £310 inc VAT) and cards are available on pre-order for under £300, while Novatech has a HIS card in stock for £306.99 inc VAT. However, it still seems us Brits are paying over the odds, as a card in the States costs $379.99 exc Tax, which is £235.97 in Sterling before VAT. Add on 15 per cent, and your card should cost more like £271.37 inc VAT. Speaking with AMD's execs while I've been out in the Bay Area, they seemed a little confused at why it costs so much to move products across the English Channel - we don't know either, but Rip-Off-Britain wasn't dreamt up in a seedy East London bar.